Happy Monday everyone! I'm starting the week off by sharing another finished area with you…..this little corner of our dining room. 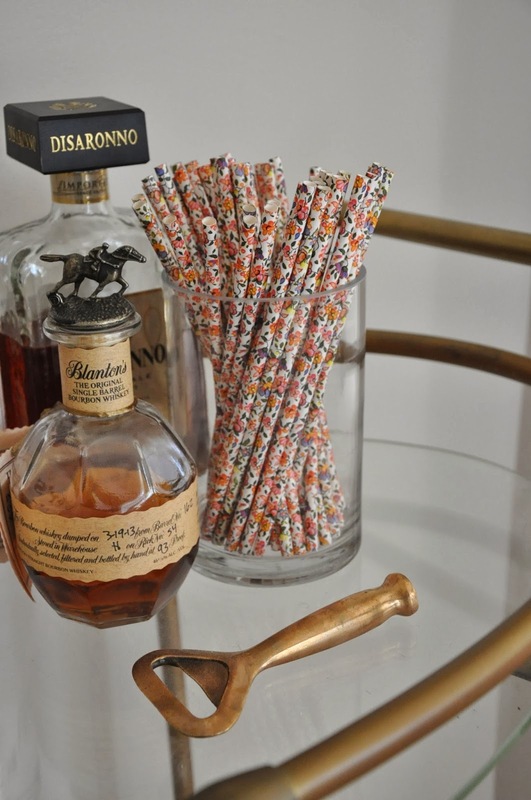 While I love the idea of having a bar cart in the living room area, with a one year old, it's flirting with disaster. 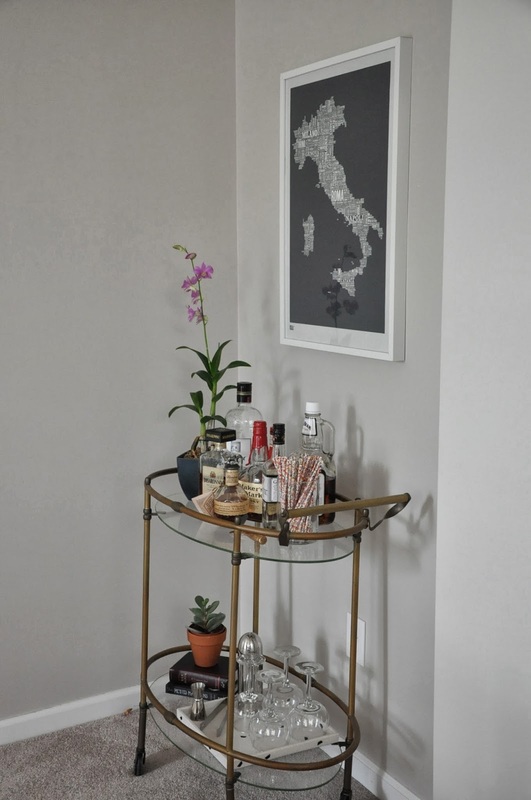 I'm not big on mixed drinks (I save that splurge for special occasions and holidays), but it is nice to have this cart on hand for entertaining and Red loves a weekend cocktail. 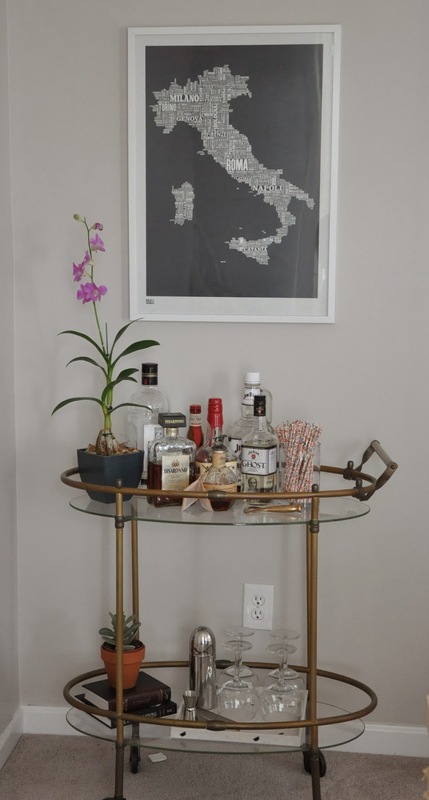 This vintage bar cart, believe it or not, was a $60 craigslist find. We got it before we even moved into the house, it has just taken me a while to style and post about it. My brother's friends brought us this orchid for hosting them last weekend, and it seemed just the thing to complete the area. Plants and flowers are so underrated in my book.